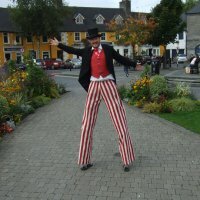 Stilt walking is a very visual addition to any event. 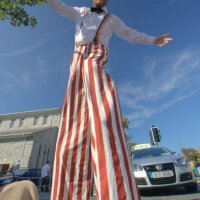 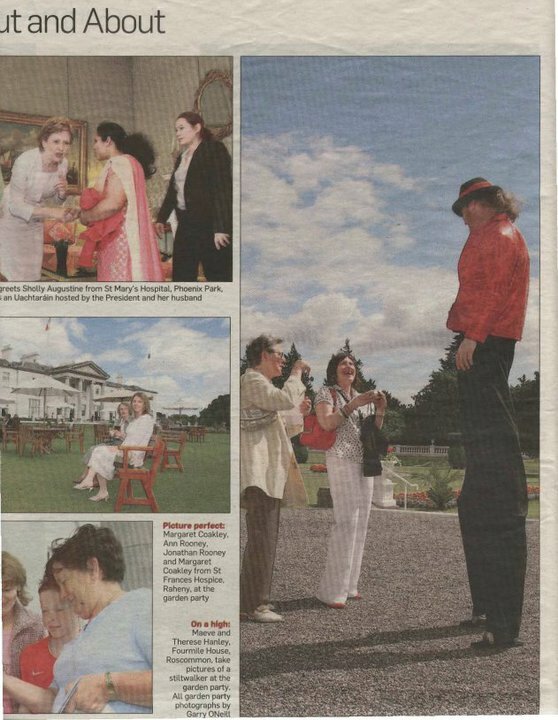 Having a stiltwalker at your event makes for great and newsworthy photos, adds a special visual impact and attracts extra attention to your event. 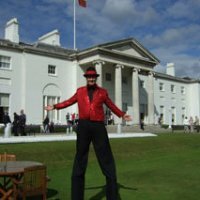 Stephen has developed a number of appropriate stilt walking walkabouts which are particularly sought after for Festivals, Opening Events, Wedding welcomes and many such events. 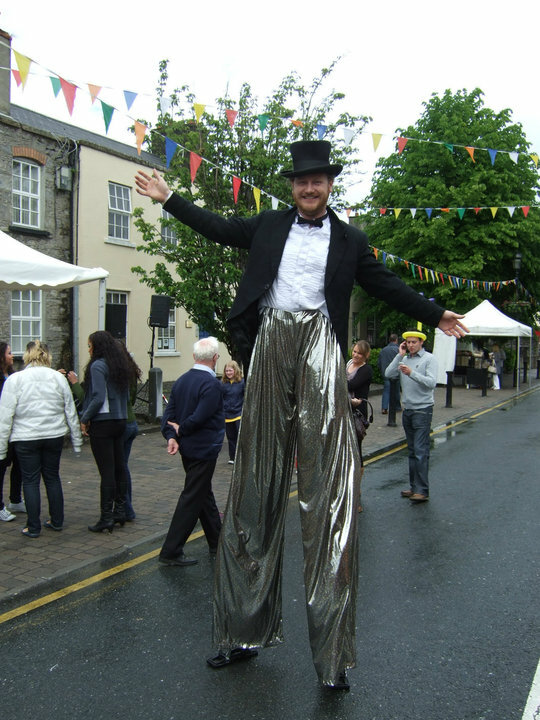 Stilt Walking at Festivals - A stilt walker is a highly visual character to have walking about the festival area. 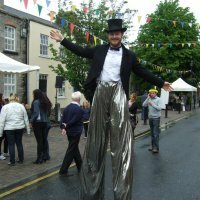 Stephen's Festival stilt-walking walkabouts concentrate on interacting with the public, ensuring festival goers receive memorable photo opportunities. 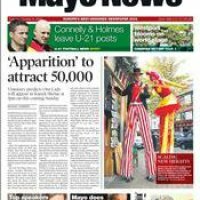 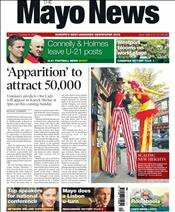 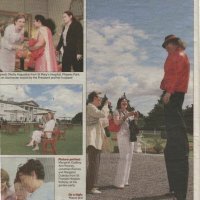 Stilt Walking at Openings - A stilt walker attracts attention to the opening of your new business and often results in newspaper exposure of the new opening. 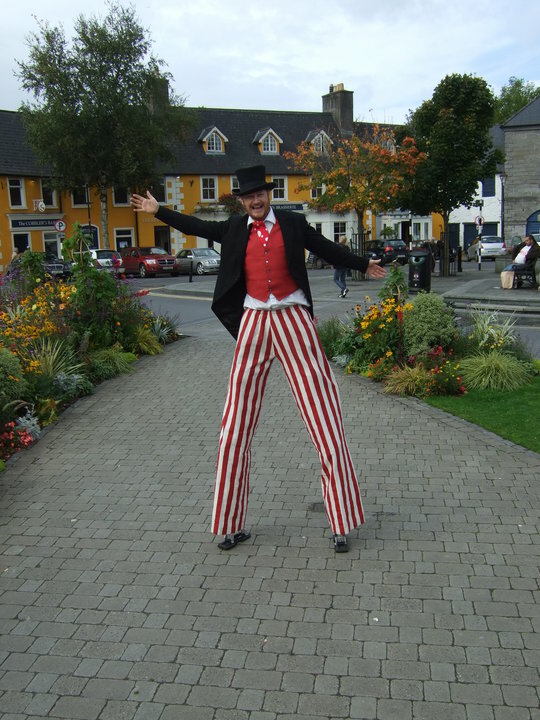 Stephens stilt-walking walks at opening events directs attention to the new business and often slows or stops passing traffic. 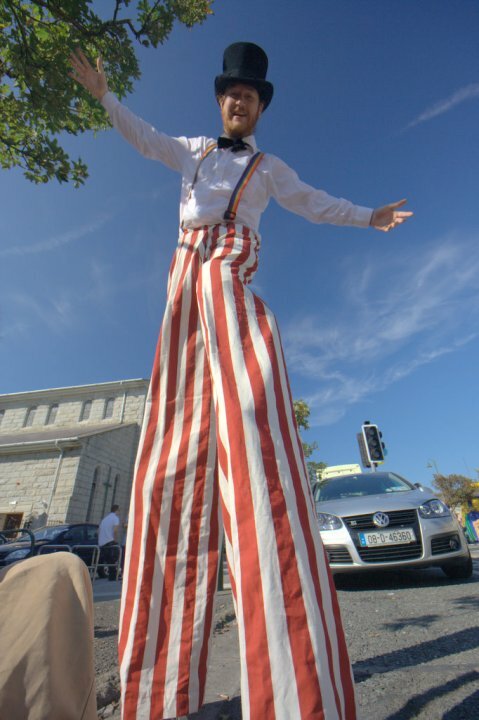 New customers often love to take memorable photos of themselves with the stilt walkers at the event. 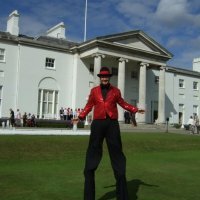 Wedding Welcomes - A perfect addition to welcome your wedding guests as they arrive at your reception, Stilt Walking at your wedding makes for wonderfully memorable photos and a fun day with a difference. 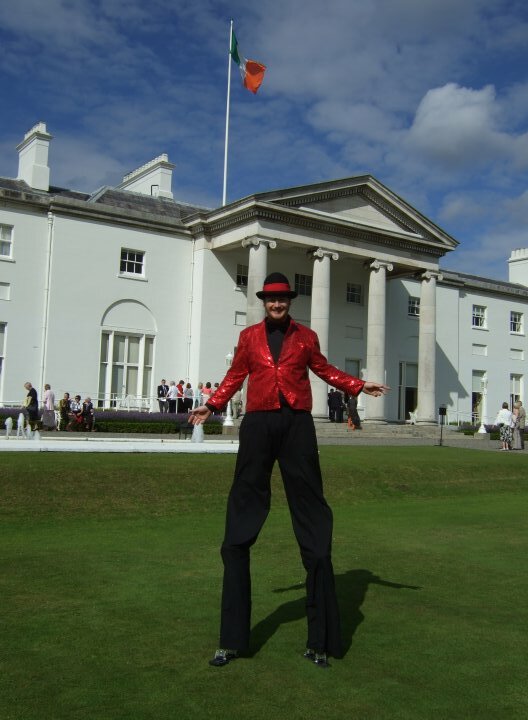 A stilt walker will entertain guests who may be on their own and is an excellent ice breaker. 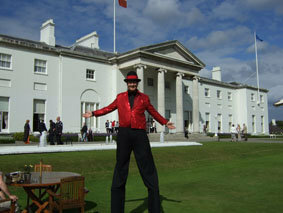 Contact Stephen to chat about Stilt walking for your event.